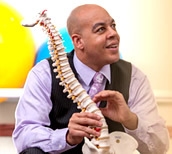 We are a select group of Chiropractors, Massage Therapists and related Wellness Providers in the Twin Cities (Minneapolis & St. Paul, MN) specializing in the ethical treatment of soft tissue injuries related to automobile and workplace accidents. While soft tissue injuries are not the only conditions we treat, they are our area of high expertise. Muscles, ligaments, tendons, nerves and other soft-tissues are the structures most likely damaged and in need of care following an automobile or workplace accident. The need for accurate documentation of such injuries is detailed and very important. Chiropractic care, massage therapy and physical therapy are the leading drug-free options to help recovery from such injuries. Our well-trained providers and clinics are examples of excellence. Courteous, confident and respectful at all times, providing exceptional service to patients is our top priority. Intentionally limited in size for quality control, we maintain strict adherence to the highest industry and legal ethics, providing care in which you can have confidence!